7 January, 2019. Ford has announced their commitment to deploy cellular vehicle-to-everything technology — or C-V2X — in all their new vehicle models in the United States beginning in 2022. C-V2X will work with Ford Co-Pilot360™, their suite of driver-assist and safety features standard across North America on new passenger cars, SUVs and trucks, including F-150, going forward. 18 December, 2018. The U.S. DOT is seeking public comment on current and future communications technologies that could be associated with the connected vehicle environment. In particular, U.S. DOT solicits comment on issues ranging from the use of alternative and emerging communications technologies to support V2X, to the challenges associated with achieving interoperability while accommodating technological change. 13 December, 2018. Continental, Ericsson, Nissan, NTT DOCOMO, OKI and Qualcomm Technologies have successfully conducted what they claim is Japan’s first C-V2X testing at 5.8 GHz. The tests focused on sending messages directly via C-V2X (PC5) under varying conditions, including vehicles driving at speeds of up to 110 kilometers per hour and with a truck or even buildings blocking the communications both direct and network-based communications. 12 November, 2018. Bosch and Daimler are joining forces to bring fully automated and driverless driving to urban roads by the beginning of the next decade. The objective is to develop software and algorithms for an autonomous driving system. Bosch and Daimler aim to improve the flow of traffic in cities, enhance safety on the road and provide an important building block for the way traffic will work in the future. 24 October, 2018. U.S. DOT claims that preserving the 5.9 GHz band for transportation communications is essential to public safety today and in the future. There are more than 70 active deployments of V2X communications. They claim they will continue to work closely with the FCC and NTIA to utilize the 5.9 GHz band for public safety applications and vehicle safety communications. 17 September, 2018. Cohda Wireless is announcing a pre-commercial C-V2X software development kit that allows users to compile and run C-V2X applications on the Qualcomm® 9150 C-V2X chipset solution. This chipset is based upon the 3GPP Release 14 specifications for direct communications (PC5) between vehicles, infrastructure and pedestrians over the globally harmonized 5.9GHz ITS spectrum. The objective of the kit is to accelerate the commercial introduction of C-V2X technology and will be of particular interest to OEMs given its pre-production readiness. 17 September, 2018. NXP Semiconductors and Hitachi Solutions collaborate to develop a new V2X solution targeted at the Japanese market. The partnership will combine NXP’s V2X chipset and Hitachi Solutions’ V2X Software stack in a solution that is capable of supporting V2X implementations in the EU, US and Korea (5.9GHz) as well as Japan (760MHz). As part of the cooperation with Hitachi Solutions, NXP will implement the SAF5400, a high-performance single-chip DSRC modem that also supports Japan (760MHz). 14 September, 2018. Groupe PSA today began demonstrating the latest LTE-V2X technology developed separately with Huawei and Qualcomm Technologies Inc, in Wuxi, China. The project covers 226 road intersections, 170 sq km city area, over 600 communication base stations, more than 100,000 commercial users and 13 typical scenarios. The LTE-V2X project in Wuxi is scheduled to be implemented in three phases from 2017 to 2020. 5 September, 2018. Autotalks announced the launch of their 2nd generation V2X chipset that supports both DSRC and C-V2X direct communications (PC5 protocol) at the highest security level. While DSRC-based V2X is deployed in the US, Europe and Japan, C-V2X is gaining momentum in other regions. Autotalks’ PC5 solution utilizes the globally defined 5.9 GHz ITS spectrum for V2X and is cellular network agnostic. 16 August, 2018. Ford releases a report that outlines its approach to autonomous vehicle development and details its prioritization of safety during self-driving vehicle development, as well as how the company is working closely with industry and government partners. 24 July, 2018. 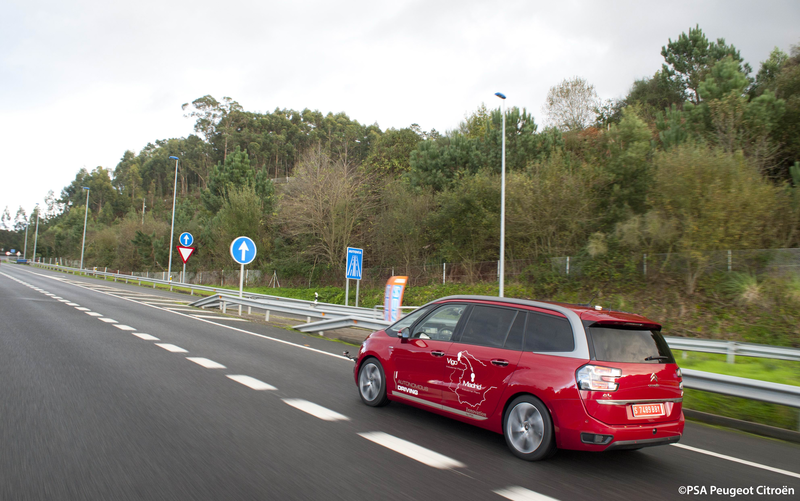 Telefónica and SEAT present a V2X use case in Segovia within the framework of the 5G Technological Cities project by equipping a both a vehicle and road infrastructure with C-V2X technology enabling the exchange of information. The initiative was carried out in collaboration with FICOSA, SICE and Nokia. 11 July, 2018. 5GAA, BMW Group, Ford and Groupe PSA announced today Europe’s first live demonstration of C-V2X direct communication technology operating across vehicles from multiple auto manufacturers. The demonstration exhibited the road safety and traffic efficiency benefits of using C-V2X for V2V collision avoidance, as well as V2I connectivity to traffic signals and Traffic Management Centers over ITS spectrum. 3 July, 2018. Hyundai Motor announced today its strategic partnership with Autotalks through a direct investment to accelerate the development and deployment of the next generation chipset for connected cars. Hyundai is expanding partnerships in the connectivity field to further strengthen connectivity technology vital to autonomous driving and explore new business opportunities within smart city infrastructure. 23 May, 2018. TrueMotion announced a strategic partnership with INRIX to provide contextual driving data to auto insurers to improve driver safety, customer engagement, loss costs, and risk modeling. Auto insurers working with TrueMotion can now incorporate INRIX traffic, incident and road weather data into their digital programs. 17 May, 2018. Intel and Mobileye have begun operating a 100-car autonomous vehicle (AV) fleet in Jerusalem. In the coming months, the fleet will expand to the U.S. and other regions. The fleet is powered only by cameras. In a 360-degree configuration, each vehicle uses 12 cameras, with eight cameras providing long-range surround view and four cameras utilized for parking. The radar/lidar layer will be added in the coming weeks as a second phase. 9 May, 2018. NTT DOCOMO has achieved a successful 28 GHz wireless data transmission between a 5G base station and a 5G mobile station in 5G field trials using a car moving at 305 km/h. The trials also achieved 1.1 Gbps ultra-high-speed data transmission via downlink to a 5G mobile station moving at 293 km/h and a fast handover during communication between 5G base stations and a 5G mobile station moving at 290 km/h. 4 May, 2018. The Toyota Research Institute is constructing a closed-course test facility to develop automated vehicle technology. The new site will be used exclusively by TRI to safely replicate demanding “edge case” driving scenarios, too dangerous to perform on public roads. The facility will include congested urban environments, slick surfaces and a four-lane divided highway with high-speed entrance and exit ramps. 23 April, 2018. TrueMotion announced a strategic partnership with INRIX to provide contextual driving data to auto insurers to improve driver safety, customer engagement, loss costs, and risk modeling. Auto insurers working with TrueMotion can now incorporate INRIX traffic, incident and road weather data into their digital programs. 16 April, 2018. Toyota and Lexus plan to start deployment of DSRC systems on vehicles in the US in 2021. 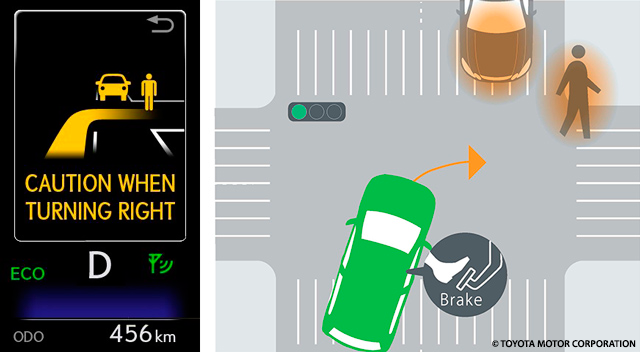 DSRC is based on industry standards, so Toyota vehicles will be able to communicate with other automakers’ equipped vehicles, multiplying the safety benefits for all. 26 February, 2018. The California Department of Motor Vehicles announced today the approval of regulations governing the driverless testing and public use of autonomous vehicles on California roads, which establishes rules for testing autonomous technology without a driver. 26 February, 2018. 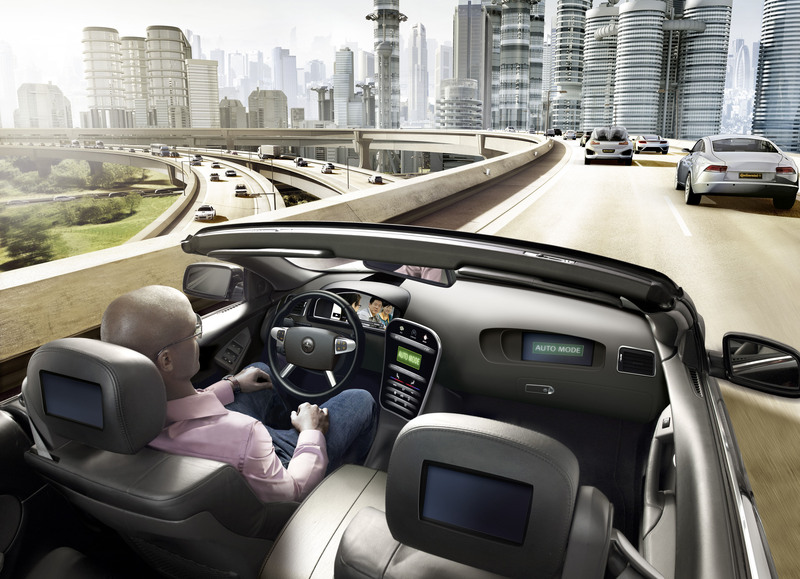 The intelligent mobility of the future depends on connectivity. 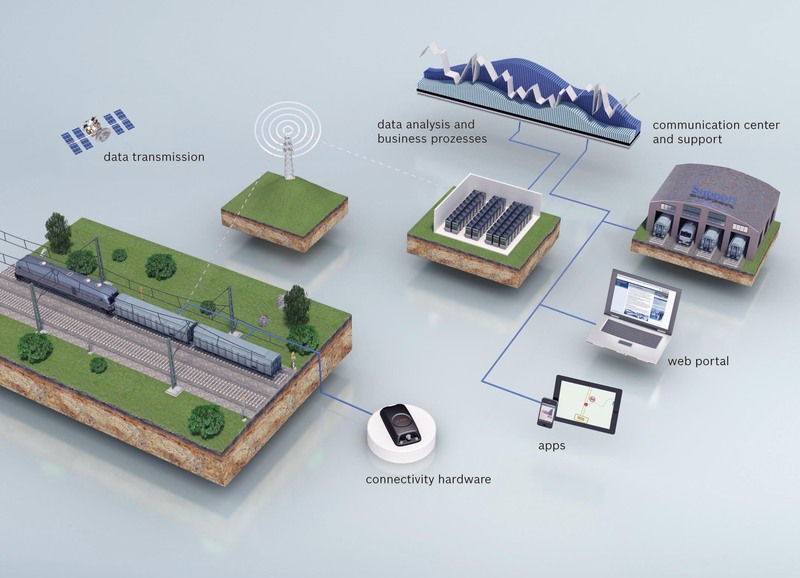 Continental has developed a Predictive Connectivity Manager that “looks” into the future to determine network availability along the route so that it can then take appropriate action. To this aim, the connectivity manager collects data on the availability and quality of the communication channels from vehicles traveling along the same route. 15 February, 2018. From 2019 onwards, the brands of the Volkswagen Group are to use the IEEE 802.11p standard for communications among vehicles and between vehicles and their environment. The introduction of this technology as standard equipment on volume models ranging from compact cars to commercial vehicles is expected to significantly improve safety on the roads of Europe. 12 January, 2018. General Motors is seeking U.S. government approval for a fully autonomous car – one without a steering wheel, brake pedal or accelerator pedal – to enter the automaker’s first commercial ride-sharing fleet in 2019. 11 January, 2018. Continental, Ericsson, Nissan, NTT DOCOMO, OKI and Qualcomm Technologies join forces to host C-V2X trials in Japan in 2018 to validate and demonstrate the benefits of Cellular Vehicle-to-Everything (C-V2X). The use cases are designed to focus on Vehicle-to-Vehicle (V2V), Vehicle-to-Infrastructure (V2I) and Vehicle-to-Pedestrian (V2P) direct communications, as well as Vehicle-to-Network (V2N) operations over cellular network-based wide area communications with cloud access. 9 January, 2018. Qualcomm Technologies and Ford Motor Company are accelerating the development of connected cars with the extension of their long-standing relationship into the development of advanced connectivity systems for Ford vehicles and upcoming Cellular Vehicle-to-Everything (C-V2X) technology testing. Qualcomm Technologies’ C-V2X commercial solution, the Qualcomm® 9150 C-V2X chipset, is expected to be commercially available the second half of 2018. 8 January, 2018. The City of Dallas has selected Ericsson to install and host an Advanced Traffic Management System based on Ericsson’s Connected Urban Transport solution. This solution will give the City of Dallas and adjacent cities the ability to aggregate and analyze diverse, real-time data from traffic sensors and cameras to dynamically control traffic lights, school flashers and message signs. 7 January, 2018. NVIDIA and Uber agree to incorporate NVIDIA technology for the AI computing system in Uber’ fleet of self-driving vehicles. NVIDIA technology will be used for running AI algorithms that enable vehicles to perceive the world, predict what will happen next and quickly choose the best course of action. 27 December, 2017. LG Electronics is partnering with HERE Technologies to offer a next-generation telematics solution for autonomous vehicles combining LG’s advanced telematics technology with high-precision map data and location services. Through their planned collaboration, the companies aim to support automakers globally with a robust and secure data communications hub for highly automated and fully autonomous cars. 20 November, 2017. Volvo Cars has signed a framework agreement with Uber to sell tens of thousands of autonomous driving compatible base vehicles between 2019 and 2021. Volvo They worked closely together to develop the XC90 premium SUVs that are to be supplied to Uber. Volvo will use the same base vehicle in the development of its own independent autonomous car strategy. 6 November, 2017. NTT DOCOMO in collaboration with Toyota, Ericsson and Intel achieved data speeds of up to 1 Gbps for 4K-resolution video communications in a trial of 5G technologies for automobiles. This initial multi-party trial involved a moving vehicle mounted with an Intel® GOTM 5G Automotive Platform terminal and equipped with a compact on-board antenna head designed for connected car trials. 2 November, 2017. SEAT and Champion Motors have reached an agreement to create XPLORA, a transversal team of specialists focused on technological innovation projects aimed at the connected car and smart mobility services. The goal of the initiative is to encourage relations with local mobility-related startups and players and identify innovative projects that could lead to future solutions and business models for the brand. AT&T, Ford, Nokia and Qualcomm launch Cellular-V2X connected car technology trials in the U.S.
31 October, 2017. AT&T, Ford, Nokia, and Qualcomm have announced Cellular-V2X trials in San Diego, U.S. The goal of the trials is to demonstrate the potential of Cellular-V2X technologies, including support for improved automotive safety, automated driving, and traffic efficiency. For these trials, C-V2X platforms are expected to be installed in Ford vehicles using the Qualcomm® 9150 C-V2X solution to facilitate direct communications, and are complemented by AT&T’s 4G LTE network communications. 27 September, 2017. Amazon Alexa will be available for all BMW and MINI models from mid-2018 and will enable customers to access a variety of services, entertainment features and shopping facilities while on the move. Alexa sill allow BMW Connected users to check vehicle information, consult appointments or scheduled routes and departure times. 26 September, 2017. Hyundai Motor has opened its first global Big Data Center in China. The new facility will allow Hyundai Motor to expand significantly its R&D capabilities in connected cars, advance its market projections, and enhance business operations in China. Hyundai Motor expects the new China Big Data Center to serve as a stepping stone for enhancing big data capabilities further. 13 September, 2017. Continental plans to accelerate initiatives based on C-V2X technologies using the integrated Qualcomm® 9150 C-V2X chipset. 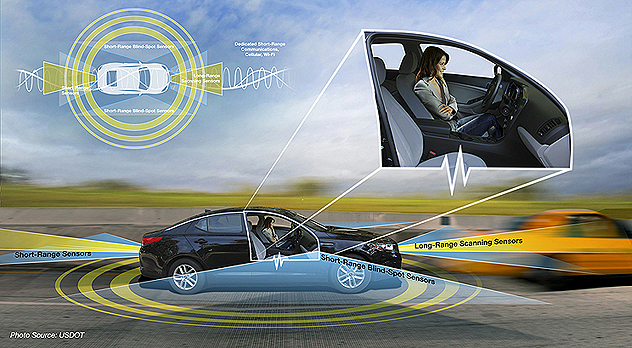 Continental will build connected car systems for field trials focused on demonstrating the capabilities of V2V, V2I and V2P direct communication, as well as Vehicle-to-Network (V2N) wide areas communications to serve next generation connected car and automated driving use cases. 12 September, 2017. The USDOT and the NHTSA today released new federal guidance for Automated Driving Systems, A Vision for Safety 2.0, which calls for industry, state and local governments, safety and mobility advocates and the public to lay the path for the deployment of automated vehicles and technologies. It builds on the previous policy and incorporates feedback received through public comments and Congressional hearings. 12 September, 2017. TomTom is showcasing TomTom BRIDGE Hub at the IAA in Germany. It is a display agnostic solution to create enhanced connected mobility solutions. TomTom BRIDGE Hub is packed with the latest TomTom Navigation, real time Maps and real time TomTom Traffic. The built-in 4G/LTE connectivity and CAN Bus interface can connect not only with the driver and the back office, but also to the vehicle itself in real time. 7 September, 2017. Ericsson will collaborate with Zenuity to develop an end-to-end platform for Connected Safety, ADAS and Autonomous Driving software and functions. The end-to-end offering will consist of in-vehicle software integrated with other vehicle functions, onboard sensors and cloud support functions that will provide external data from other vehicles and cloud infrastructure. 31 Aug, 2017. LG Innotek today announced the development of a ‘Second Generation V2X Full Module’ for connected cars and autonomous vehicles, with improved durability and minimized size. The module combines the three varieties of V2X core components, namely the HCI module and Hardware Security Module for controlling the communication protocol and the Application Processor into one product. 30 Aug, 2017. Toyota Motor Corporation today announced the launch of a new data-focused pilot programme with Grab, Toyota Financial Services Corporation, and Aioi Nissay Dowa Insurance Co., Ltd. The project aims to use data analysis to improve the access to connected car services that will improve the customers experience. 10 August, 2017. Nissan India today launched NissanConnect , an integrated information and communication platform that connects with the customer’s smartphone to provide enhanced driving experience. NissanConnect is platform agnostic and offers 50+ Connected Car features and has been developed by Renault Nissan Technology Business Centre India (RNTBCI). 25 July, 2017. Nissan India today launched NissanConnect , an integrated information and communication platform that connects with the customer’s smartphone to provide enhanced driving experience. NissanConnect is platform agnostic and offers 50+ Connected Car features and has been developed by Renault Nissan Technology Business Centre India (RNTBCI). 22 June, 2017. The USDOT has announced the release of the first version of the ITS National Reference Architecture to fully incorporate connected vehicle capabilities in detail. The Architecture and its accompanying software tools are available at no cost from www.arc-it.net. 20 June, 2017. The CAR 2 CAR Communication Consortium and the C-Roads Platform have just signed a Memorandum of Understanding for enabling a close cooperation between the automotive industry, road authorities, and road operators for preparing the deployment of initial cooperative ITS services across Europe by 2019. 23 May, 2017. Bosch has developed a prototype for motorcycle-to-car communication with partners Autotalks, Cohda Wireless, and Ducati. Based on ITS-G5, wireless communications technology, new Bosch technology could prevent nearly one-third of all motorcycle accidents. 15 May, 2017. Volvo Cars has announced a close partnership with Google to develop the next generation of its in-car infotainment and connectivity solution based on Android. The large catalogue of popular Android apps will offer connected and predictive services in and around the car. This partnership reflects the ongoing convergence between the automotive and technology industries as cars become increasingly connected. 11 May, 2017. SEAT and Saba sign an agreement to develop vehicle services associated with parking, such as booking and advance payment of parking spaces The collaboration lays the foundation for projects like Parkfinder 2.0, which will enable drivers to know in real-time from their car which parking spaces are available The partners will explore the possibilities of new services that take advantage of the time spent that cars are parked, which is 95% of the time. 10 May, 2017. NVIDIA is collaborating with Toyota to deliver artificial intelligence hardware and software technologies that will enhance the capabilities of autonomous driving systems. Engineering teams from the two companies are already developing sophisticated software on NVIDIA’s high-performance AI platform that will enhance the capabilities of Toyota vehicles. 26 April, 2017. 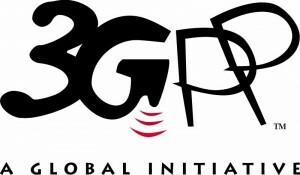 The 5G Automotive Association has today become a Market Representation Partner (MRP) in 3GPP, bringing in the influence and expertise of vehicle manufacturers and a variety of important companies from the automotive sector, to the 3GPP environment. The objective is to connect the telecom industry and vehicle manufacturers, to develop end-to-end solutions for future mobility and transportation services. 25 April, 2017. The EC has released the 2017 Rolling Plan on ICT Standardization that includes policies such as healthcare, cloud computing, intelligent transport systems, security, accessibility, the Internet of Things, eGovernment and smart grids, among many. The Rolling Plan proposes new actions on standardization for C-ITS systems. 18 April, 2017. LYNK & CO has partnered with Ericsson and demonstrated the world’s first built-in share function. Ericsson’s digital key and LYNK & CO’s car sharing platform provides access to a LYNK & CO car through a smartphone enabling a car’s owner to remotely grant access to their car. 15 April, 2017. ASTRI, HKT, Huawei and Qualcomm have formed a Smart Mobility Consortium on C-V2X technologies to introduce a series of Intelligent Transport Services in Hong Kong. They plan to work alongside the Government, automobile industry, and other relevant industry stakeholders to make this happen. 5 April, 2017. SAE and GM announced the eight North American universities who will compete in the upcoming AutoDrive Challenge™, a three-year competition to develop and demonstrate a fully autonomous passenger vehicle. Throughout the competition, students will focus on autonomous technologies and will work with real-world applications of sensing technologies, computing platforms, software design implementation and advanced computation methods. 2 April, 2017. Cadillac introduces V2V communications in the CTS performance sedan, beginning with 2017 interim model year cars in production now. Using DSRC, V2V-equipped vehicles share information that can be used to alert drivers to upcoming potential hazards. Through the next-generation Cadillac user experience infotainment system, drivers can customize alerts to show in the instrument cluster and available head-up display. 30 March, 2017. IBM patents a machine learning system that can dynamically shift control of an autonomous vehicle between a human driver and a vehicle control processor in the event of a potential emergency. IBM researchers developed the patented system using their understanding of biological cognition and behavior generation in the brain. 27 March, 2017. Toyota and NTT have agreed to collaborate in the connected car field, combining the automotive technologies of Toyota with the information and communication technologies of NTT Group companies. Areas of collaboration include 5G, data collection, IoT networks and edge computing, among others. 22 March, 2017. Microsoft announces a new patent licensing agreement with Toyota that includes broad coverage for connected car technologies. Today’s agreement builds on Toyota and Microsoft’s strong partnership, which includes their collaboration on the Azure-based Toyota Big Data Center. 21 March, 2017. Panasonic has increased its share in Ficosa by 20% in order to speed the development of key technologies for the future of automotive. With this transaction, Ficosa and Panasonic strengthen their capital and business alliance in order to develop new high-technology vision, safety, efficiency and connectivity solutions (connected cars, driverless vehicles, assisted driving and e-mobility). 16 March, 2017. Econolite Group and Savari have formed a partnership to accelerate the deployment of V2I safety applications. The partnership agreement provides Econolite exclusive distributorship of Savari’s StreetWAVE™ RSUs to the Americas, Middle East, and Africa. 9 March, 2017. The USDOT has released new fact sheets on each of the three pilot deployment sites—New York City; Wyoming; and Tampa, Florida. These sites are designing, building, and testing integrated wireless in-vehicle, mobile device, and roadside technologies. The newly released fact sheets provide an overview of each of the pilot deployment sites, including the transportation challenges that exist in each location. 7 March, 2017. QMIC and Cohda Wireless announced the signing of a technology collaboration agreement in support of deploying connected & automated vehicle systems in Qatar. Both parties will collaborate to support QMIC’s efforts in carrying out a V2X/CAV field pilot in Qatar and to jointly explore collaborating on other V2X/CAV projects in Qatar and the region. 1 March, 2017. AT&T and members of Bridge Alliance have formed a long-term agreement to extend their global connected car leadership to new territories. 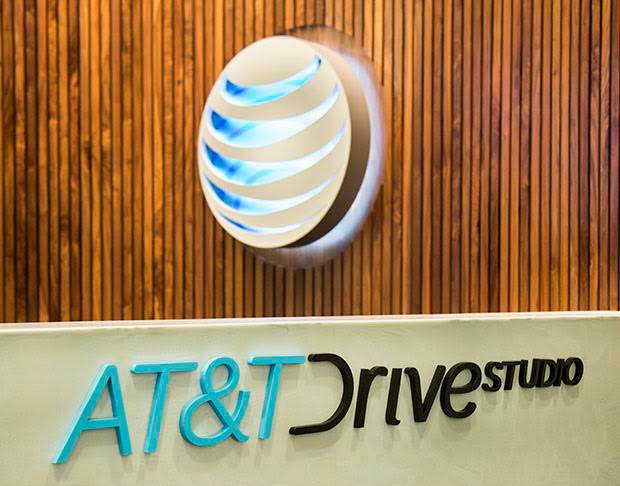 This collaboration sets forth the framework to extend the geographic coverage AT&T could provide to automotive manufacturers looking to enhance their infotainment offerings in the growth markets served by members of Bridge Alliance. 1 March, 2017. Honda is leveraging IoT solutions from Cisco Jasper® and Bright Box to deliver the MyHonda Connected Car platform, to deliver a variety of connected services that increase driver safety, simplify vehicle ownership, and enable new experiences for drivers. Honda will launch these Connected Car services across all European countries. 27 February, 2017. 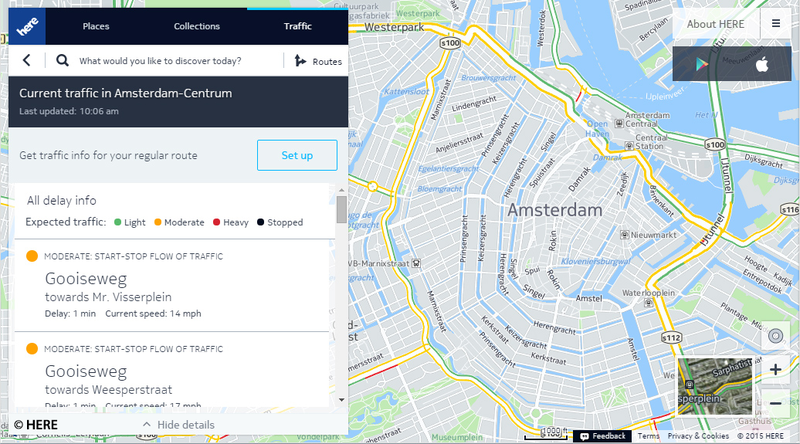 TomTom and Qualcomm have announced a new project to use the Qualcomm® Drive Data Platform for high-definition map crowdsourcing, to accelerate the future of autonomous driving. TomTom’s HD Map for autonomous vehicles will now benefit from a richer set of data due to Qualcomm Technologies offering a new chip to be used in car sensors. 24 February, 2017. 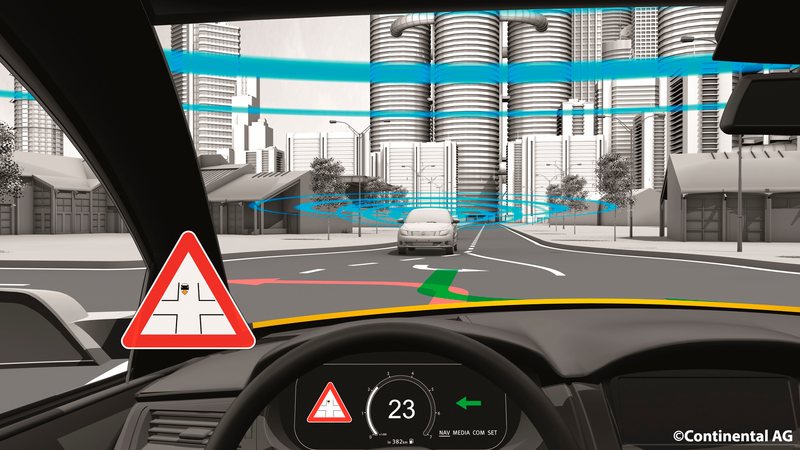 NXP Semiconductors has joined Auto-ISAC, a central hub formed by automakers that aims establishing a secure platform around the connected vehicle, to help develop best cybersecurity practices for the automotive industry. 23 Febrary, 2017. Qualcomm and LG announced coordinated efforts to facilitate testing and adoption of 5G and Cellular-V2X (C-V2X) technologies, which they expect to showcase during the first half of 2018. LG is developing advanced automotive connectivity solutions based on Qualcomm Technologies’ connected car platform using the Qualcomm® Snapdragon™ X16 LTE modem complemented by the QCA65x4 Wi-Fi 802.11ac solution. 16 February, 2017. TomTom Telematics has surpassed 700,000 subscriptions to its connected car and fleet management solutions, WEBFLEET, which allows fleet owners to manage vehicle fleet data effectively in their businesses and is part of the TomTom Telematics Service Platform. 3 February, 2017. SEAT and BeMobile have signed an agreement to develop mobility applications for the connected vehicle using a SEAT Ateca and Barcelona as its testing ground. SEAT’s objective is to provide drivers with easy, digital, connected mobility experiences. 27 January, 2017. Using a simple device, Ford customers who own 2010 – 2016 model year Ford and Lincoln vehicles that are not equipped with a modem will have access to connectivity features, such as smartphone-based remote start, lock and unlock, 4G Wi-Fi hotspot or vehicle location assistance. 20 January, 2017. The USDOT has designated 10 proving ground pilot sites to encourage testing and information sharing around automated vehicle technologies. Designees were selected from a competitive group of over 60 applicants. Applicants included academic institutions, state Departments of Transportation, cities, and private entities and partnerships. 20 January, 2017. TomTom announced that it has acquired Autonomos, a Berlin-based autonomous driving start-up that was established in 2012 after the founders had worked for several years in successful autonomous driving research projects at the Free University of Berlin. This acquisition will advance TomTom’s map-based products for autonomous driving applications. 19 January, 2017. 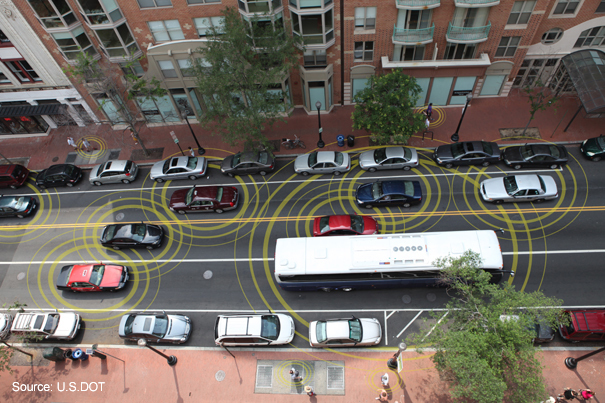 USDOT announced new V2I guidance to accelerate the deployment of V2I communication systems. The objective is to assist transportation system owners/operators as they deploy V2I technology. The guidance can help transportation agencies and tollway authorities understand what a decision to deploy V2I technology could mean to their region, prepare for emerging V2I and V2V technologies, and leverage federal-aid funds to deploy them. 17 January, 2017. Nissan will bring real-world demonstrations of autonomous driving cars to London. Passengers will be given the opportunity to experience and test the technology in a live environment in a modified Nissan LEAF. It follows recent announcements that both the refreshed Qashqai and the new LEAF will be equipped with autonomous drive technology to enable single lane autonomous driving on motorways. 9 January, 2017. U.S. Department of Transportation announces ITS ePrimer, a free ITS web resource that provides transportation professionals, educators, students, and others with a series of up-to-date, Web-based modules describing key ITS topics, with a multimodal perspective. 3 January, 2017. AUDI, Ericsson, Qualcomm, SWARCO and the University of Kaiserslautern have announced the formation of a consortium to carry out a Cellular-V2X trial based upon the 3GPP’s Release 14, which includes Vehicle-to-Everything (V2X) communication. The consortium will be co-funded by the participating organizations and the German Federal Ministry of Transportation and Digital Infrastructure. 3 January, 2017. Qualcomm announced today the integration of their chipsets in the next-generation of Volkswagen AG vehicles. These chipsets include the Qualcomm Snapdragon 820A processor, as well as the Snapdragon X12 and X5 LTE modems. Volkswagen AG vehicles featuring the Snapdragon 820A processor are expected to be available in 2019, while vehicles utilizing Snapdragon X12 and X5 LTE modems are expected to be available in 2018. 3 January, 2017. Together with Inmarsat, Continental is expanding its over-the-air updates portfolio to enable updates across the globe through geostationary satellite networks. The company claims that this will allow deploying worldwide update campaigns at the push of a button, bypassing the complexity of dealing with multiple mobile network operators. 13 December, 2016. The USDOT issued today a Notice of Proposed Rulemaking that would require automakers to include V2V technologies in all new light-duty vehicles. The rule proposes requiring V2V devices to “speak the same language” through standardized messaging. V2V devices would use the dedicated short range communications (DSRC) to transmit data, such as location, direction, and speed, to nearby vehicles. 13 December, 2016. Google’s self-driving car project has grown into a company called Waymo, an independent company within the Alphabet umbrella, with the mission of making it safe and easy for people and things to move around. Waymo has a partnership with Fiat Chrysler, which is incorporating self-driving software and sensors into its Pacifica minivans. 30 November, 2016. The EC adopted a Strategy on C-ITS to allow for a wide-scale deployment of this technology as of 2019. The Strategy focuses on services that can be deployed in the short to medium-run and its main elements include avoiding a fragmented market, using a mix of communication technologies and addressing security and data protection issues, among others. 21 November, 2016. nuTonomy today announced an agreement with the City of Boston to begin testing its self-driving cars on specific public streets in Boston. nuTonomy outfits its vehicles with a software system integrated with high-performance sensing and computing components. During the Boston road tests, nuTonomy’s software system will learn local signage and road markings while gaining a deeper understanding of pedestrian, cyclist, and driver behavior. 15 November, 2016. Ericsson, SK Telecom and BMW have successfully conducted a multi-vehicular 5G trial at the advanced BMW car test track in South Korea. The test environment included multiple radio transmission points on the 28GHz frequency band. The trial showed that 5G performance will be able to support V2X services that require low latency and consistent high bi-directional throughput. 15 November, 2016. Intel has announced an investment of more than $250 million to make fully autonomous driving a reality, which includes the development of new technologies for connectivity, communication, context awareness, deep learning, security and safety. The company believes that the automotive industry is on the cusp of a major transformation, demanding unprecedented levels of computing, intelligence and connectivity. 14 November, 2016. Samsung has announced an agreement to acquire Harman, a company that provides connected car solutions, with more than 30 million vehicles currently equipped with its connected car and audio systems. Samsung expects the combination to deliver significant growth opportunities and benefits to customers by leveraging Samsung’s and Harman’s complementary technologies. 3 November, 2016. General Motors today demonstrated eight safety applications for its intelligent and connected vehicle technology in China, including Intersection Movement Assist and Red Light Violation Warning, among others. This technology is expected to address the transportation challenges of nine Chinese megacities with populations above 10 million. 3 November, 2016. Volvo Cars around the world will be equipped with INRIX real-time and predictive traffic flow information for routes, travel times, and alerts to accidents and incidents. 31 October, 2016. Toyota Motor Corporation will establish a Mobility Services Platform that will aggregate and comprehend business functions such as vehicle management systems and leasing programs. Toyota will conduct a pilot program with U.S. car-sharing company – Getaround, starting in January 2017 in San Francisco, California. 27 October, 2016. Qualcomm and NXP Semiconductors today announced an agreement under which Qualcomm will acquire NXP. The combined company is expected to have annual revenues of more than $30 billion, serviceable addressable markets of $138 billion in 2020 and leadership positions across mobile, automotive, IoT, security, RF and networking. 24 October, 2016. The USDOT has released new guidelines for improving motor vehicle cybersecurity. The guidance recommends risk-based prioritized identification and protection of critical vehicle controls and consumers’ personal data, and highlights the importance of making cybersecurity a top leadership priority for the automotive industry. 21 October, 2016. As part of UK Autodrive project, Jaguar Land Rover, Ford and Tata Motors European Technical Centre jointly demonstrated today a number of connected and autonomous vehicle technologies. The demonstration showcased cars that can warn their drivers when another connected car up ahead has braked severely, and how connected cars can be sent information from traffic lights. 4 October, 2016. Telstra and Cohda Wireless have successfully trialled V2I technology over Telstra’s 4G network in South Australia for diverse applications that include alerting a driver to roadworks ahead or giving green light priority to high priority vehicles. Telstra and Cohda Wireless intend to trial V2V and Vehicle-to-Vulnerable (bicycles and pedestrians) technologies within the coming months. 27 September, 2016. AUDI AG, BMW Group, Daimler AG, Ericsson, Huawei, Intel, Nokia and Qualcomm Incorporated have announced the formation of the “5G Automotive Association”. The association will address key technical and regulatory issues, leveraging next generation mobile networks and integrating vehicle platforms with connectivity, networking and computing solutions. 26 September, 2016. The initial Cellular V2X standard was completed last week. It focuses on Vehicle-to-Vehicle (V2V) communications, with further enhancements to support additional V2X operational scenarios to follow, in Release 14, targeting completion during March 2017. 26 September, 2016. 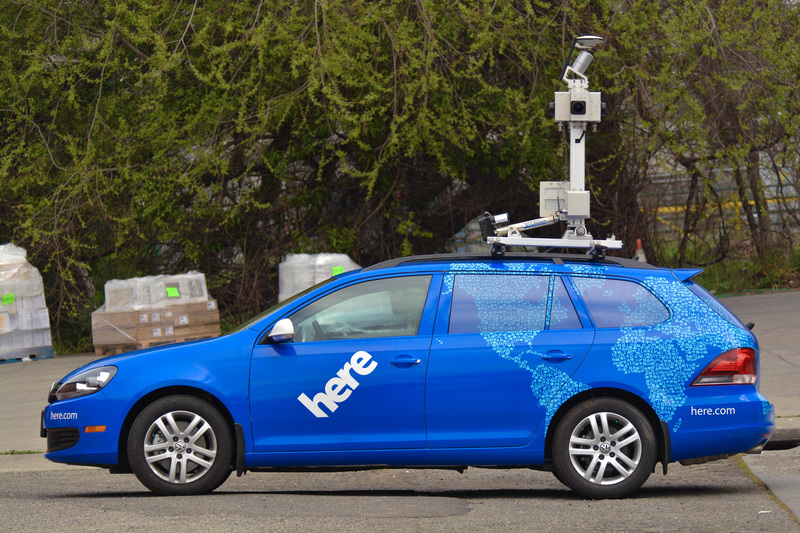 HERE today announced its next generation data services intended to harness real-time data generated by the on-board sensors of connected vehicles to create a live depiction of the road environment. Drivers will be able to access this view of the road through four services that provide information on traffic conditions, potential road hazards, traffic signage and on-street parking at high quality. 26 September, 2016. The Renault-Nissan Alliance and Microsoft Corp. have signed an agreement to advance connected driving experiences worldwide. The Alliance aims to develop connectivity technologies and features to support the launch of more than 10 vehicles with autonomous driving technology by 2020. 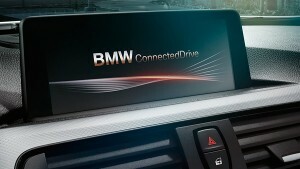 The connected services for cars that will be developed will be powered by Microsoft Azure. 20 September, 2016. The USDOT is issuing a Federal Automated Vehicle Policy for the safe testing and deployment of new auto technologies. The primary focus of the policy is on highly automated vehicles, or those in which the vehicle can take full control of the driving task in at least some circumstances. Portions of the policy also apply to lower levels of automation. 20 September, 2016. ETSI announces its 5th ETSI ITS PlugtestTM event for co-operative transport systems focusing on V2V and V2I communications. This event will trial the ITS eco system under real life conditions, demonstrating conformance to ETSI ITS Release 1 standard and interoperability of ITS G5 radio equipment. Testing will take place from 7 to 17 November around the port of Livorno, Italy. 14 September, 2016. Uber has announced that Uber’s new self-driving cars are now on the road in Pittsburgh for real-world testing. These cars have a safety driver in the front seat because they require human intervention in many conditions, including bad weather. The company is inviting its most loyal Pittsburgh customers to experience the future first. 22 August, 2016. NVIDIA has presented Parker, their new mobile processor to power the next generation of autonomous vehicles. Parker delivers up to 1.5 teraflops of performance for deep learning-based self-driving AI cockpit systems and offers the raw graphics performance and features to power multiple high-resolution displays, such as cockpit instrument displays and in-vehicle infotainment panels. 18 August, 2016. Volvo Cars and Uber have signed an agreement to develop fully autonomous driving cars, with a combined contribution of USD 300M. The base vehicles will be manufactured by Volvo Cars and then purchased from Volvo by Uber. Both Uber and Volvo will use the same base vehicle for the next stage of their own autonomous car strategies. 16 August, 2016. Ford has announced its intent to have a fully autonomous vehicle in commercial operation in 2021 in a ride-hailing or ride-sharing service. To get there, the company is investing in or collaborating with four startups to enhance its autonomous vehicle development, doubling its Silicon Valley team and more than doubling its Palo Alto campus. 14 July, 2016. Automated last mile buses that can transport up to nine persons will enter the public roads in Finland this summer to solve the challenges of urban mobility. The buses will be on a trial use in the cities of Helsinki, Espoo and Tampere. The Finnish Transport Safety Agency Trafi grants permissions for safe automatic transportation trials. 6 July, 2016. The Volkswagen Group and LG Electronics have signed a memorandum of understanding on joint research and development of a next-generation connected car service platform. The two companies will work together on a platform to enhance vehicle connectivity and convenience. Using cloud technology, it will offer drivers seamless digital access to extensive features such as smart home and location-based services. 5 July, 2016. NXP Semiconductors and Tongji University recently announced their support for China’s large-scale road test initiative for intelligent connected vehicles. The road testing initiative is part of the Shanghai Intelligent and Connected Vehicle Demonstration Program. NXP and its partner Cohda Wireless will provide secure vehicle-to-vehicle and vehicle-to-infrastructure (V2X) communications technology for cars and roadside infrastructure. 30 June, 2016. A fatal crash has recently occurred between a Tesla Model S with Autopilot engaged and a tractor trailer. The fatal crash occurred when the vehicle was on a divided highway with Autopilot engaged and a tractor trailer drove across the highway. The company claims it is the first known fatality in over 130 million miles where Autopilot was activated. 8 June, 2016. 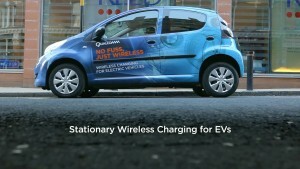 Qualcomm has announced the Qualcomm Connected Car Reference Platform for connected cars. The Platform integrates wireless technologies including 3G/4G LTE, GNSS, Wi-Fi, DSRC, and Bluetooth and is extensible to support cellular V2X and 5G. The company claims that the platform is also designed to address different challenges such as wireless coexistence or future-proofing. 3 May, 2016. Google plan to double their fleet of self-driving vehicles through a collaboration with Fiat Chrysler Automobiles. The company plans an initial addition of about 100 new 2017 Chrysler Pacifica Hybrid minivans, and they hope the first few will be on the road by the end of 2016. 19 April, 2016. Hyundai Motor Company is accelerating developments in connected car technology by collaborating with Cisco. The cooperation is part of Hyundai Motor’s wider strategy to establish a connected car platform through collaboration with leading technology partners. 11 March, 2016. NXP Semiconductors has announced it has joined the USDOT’s Smart City Challenge as a provider of V2X technology. With this partnership, NXP, together with its partner Cohda Wireless, will provide the contest’s winning community with wireless communication modules that allow cars to securely exchange data, such as hazard warnings, to prevent accidents and improve traffic flow. 19 February, 2016. Ficosa and Panasonic have joined forces to improve their technological capabilities and integrate complementary technologies in the areas of connectivity, safety and efficiency of the automobile of the future. Both companies have developed the new generation of Smart Connectivity Module, a solution that enables all passengers to be simultaneously but independently connected through the vehicle’s own connection. 21 January, 2016. The C-ITS Platform has released its Final Report on 21 January 2016. With this report, the C-ITS Platform has achieved its first milestone towards the deployment of connected and automated vehicles in the EU. The Commission will now prepare the Master Plan for the Deployment of C-ITS, to be ready by mid-2016, based on the recommendations of the platform. 20 January, 2016. Two months of new connected vehicle data from the Safety Pilot Model Deployment Program have been released. The data sets contain sanitized mobility data elements collected from about 3,000 vehicles equipped with connected vehicle technologies while traversing Ann Arbor, Michigan. The data sets include kinematic and geospatial information, trip summaries and vehicle attributes, among others. 4 January, 2016. Volvo is developing intelligent, high bandwidth, streaming capabilities with its technology partner, Ericsson, that will ensure drivers and passengers get the most out of their time travelling in an autonomous Volvo. Utilising Ericsson’s network and cloud expertise, Volvo Cars’ aim is to deliver a high quality, interruption-free experience in its cars whilst on the move. 22 December, 2015. 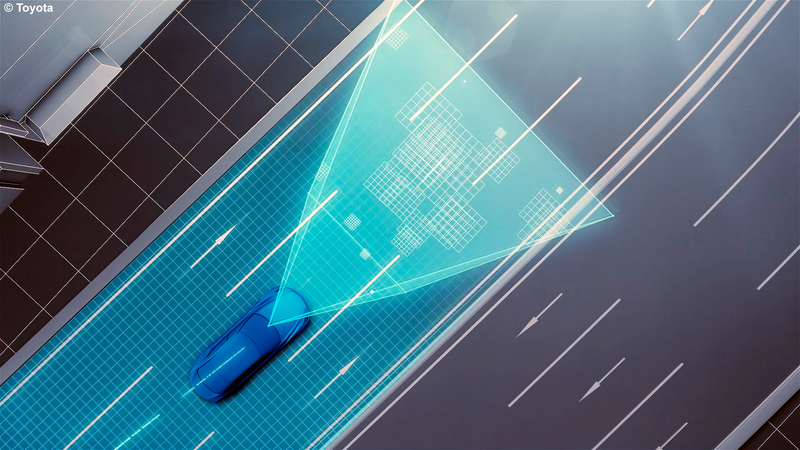 To aid the safe implementation of automated driving, Toyota is developing a high-precision map generation system that will use data from on-board cameras and GPS devices installed in production vehicles. The information gathered by vehicles is sent to data centers, where it is automatically pieced together, corrected and updated to generate high precision road maps that cover a wide area. 15 December, 2015. Google has recently reported 314 total disengagements from autonomous mode, i.e. deactivations of the autonomous mode when a failure of the autonomous technology is detected or when the safe operation of the vehicle requires the driver to take immediate control of the vehicle. 37.9% disengagements were produced by perception discrepancy and 25.5% due to a software discrepancy. 25 November, 2015. HERE and the Dutch Ministry of Infrastructure and the Environment are together evaluating the deployment of a cellular network-based C-ITS for improving road safety and reducing congestion in the Netherlands. The evaluation uses standard commercial 3G and 4G/LTE cellular networks as well as location cloud technology and data analytics from HERE to connect smartphones and other devices, road infrastructure and traffic management centers. 18 November, 2015. 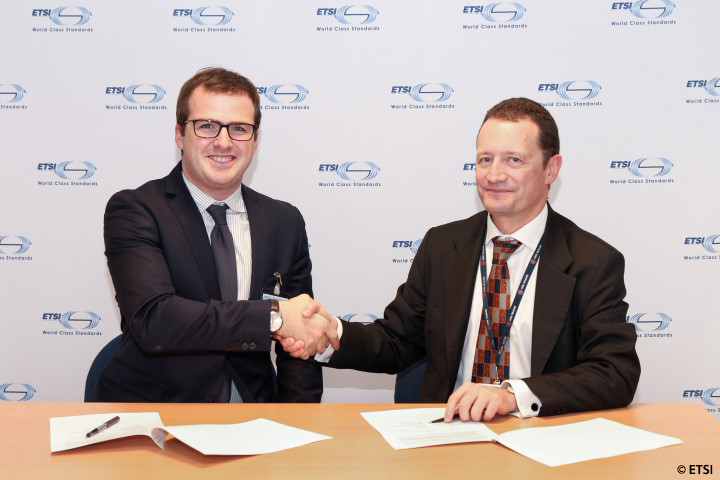 The Car Connectivity Consortium and ETSI sign cooperation agreement in which ETSI will formally explore adopting MirrorLink as an ETSI Technical Specification. Designed for maximum interoperability between a wide range of smartphones and cars, MirrorLink is an OS- and OEM-agnostic technology for car-smartphone connectivity. 17 November, 2015. Radio-frequency spectrum needed for the operation of short-range high-resolution automotive radar has been allocated in the 79 GHz frequency band at the World Radiocommunication Conference (WRC-15). It provides a globally harmonized regulatory framework for automotive radar to prevent collisions, which will improve vehicular safety and reduce traffic accidents. 16 November, 2015. Spanish DGT has published the legal framework to allow testing of automated vehicles on public roads in Spain. This framework details the requirements needed to conduct the tests, and a classification of vehicles depending on their level of automation. Authorization for testing can be requested by manufacturers of autonomous vehicles, official laboratories, suppliers of autonomous driving technologies, universities and consortia involved in research projects. 27 October, 2015. The U.S. DOT has announced that New York City, Wyoming, and Tampa, FL will receive up to $42 million to pilot next-generation V2V and V2I communication technologies. New York City will install V2V technology in 10,000 city-owned vehicles, as well as V2I technology throughout Midtown. In Wyoming, the focus is on the efficient and safe movement of freight through, which is critical to commercial heavy-duty vehicles. 20 October, 2015. The 16 vehicle manufacturers organised in the CAR 2 CAR Communication Consortium adhere to their agreement to jointly bring cooperative Intelligent Transport Systems and Services to the European market. Working under the assumption that some open issues identified can be resolved with all the required standards in place by 2016, initial deployment of cooperative vehicles could begin as soon as 2019. 7 October, 2015. Siemens AG and Cohda Wireless have announced they will collaborate in the area of Vehicle to Infrastructure (V2I) communications. The objective is to share information between vehicles and roadside infrastructure such as traffic lights, to increases the quality and reliability of information available to drivers about their immediate environment, other vehicles and road users. 5 October, 2015. 20 European organisations join forces to establish the first Mobility as a Service Alliance through public and private stakeholder cooperation. The key concept behind it is to put the users, both travelers and goods, at the core of transport services, offering them tailor made mobility solutions based on their individual needs. 30 September, 2015. By the end of 2015, Toyota will make a new ITS safety package available on three models in Japan. This package uses V2V and V2I communication to provide drivers with the kind of safety information that cannot be picked up by onboard sensors. The new ITS safety package uses Japan’s standardized ITS frequency of 760 MHz to receive and share data transmitted by external infrastructure and other vehicles. 21 September, 2015. TU-Automotive announced that Mr Paolo Santi, the ‎Lead of Ambient Mobility at MIT’s Senseable City Lab has joined the stunning list of innovative speakers at the TU-Automotive Europe Conference and Exhibition 2015, which will take place over 2nd-3rd November at the ICS Conference Centre in Stuttgart. 17 September, 2015. The G7 transport ministers and the European Commissioner for Transport claim that they will jointly support the developments in the field of automated and connected driving to make a significant contribution towards increasing road safety and improved mobility worldwide. Fundamental issues related to the harmonization of the regulatory framework or the role and obligations of drivers will need to be addressed. 10 September, 2015. At the Frankfurt Motor Show, Continental presented a Left-turn Assist based on V2X technology. 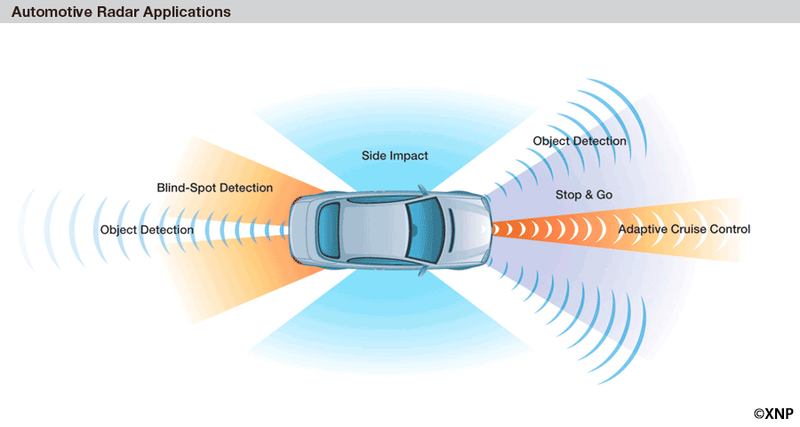 This technology issues an audible and visual warning to alert the driver of an impending collision due to the presence of a hidden approaching vehicle during a left-turn maneuver. Other functions that Continental offers with its V2X technology include the Electronic Brake Light and the Roadworks Assistant. 6 August, 2015. A consortium of automobile manufacturers, automotive suppliers and public partners has launched in Germany the Ko-HAF (Cooperative Highly Automated Driving) research project. The aim of the project is to research new systems and functions permitting highly automated driving at higher speeds and in more complex situations. 3 August, 2015. Nokia announced an agreement to sell its HERE digital mapping and location services business to AUDI AG, BMW Group and Daimler AG. HERE is developing a location cloud that harnesses the power of data generated by vehicles, devices and infrastructure to deliver real-time, predictive and personalized location services. In the automotive industry, its focus is on developing precise and accurate mapping. 23 July, 2015. Honda has opened a new Silicon Valley R&D facility and launched a new open innovation R&D initiative, Honda Xcelerator, which will provide resources to breakthrough technology innovators to help rapidly develop prototypes with the potential to transform the automotive experience. 20 July, 2015. 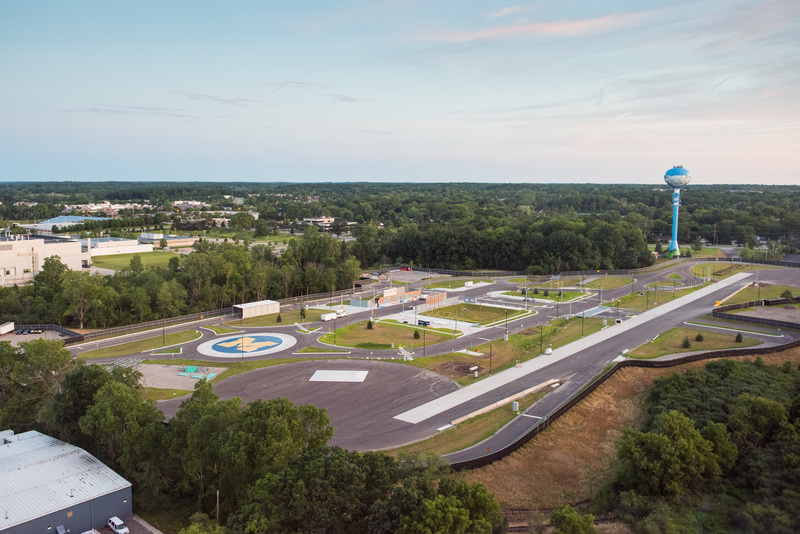 The University of Michigan (U-M) has opened Mcity, the world’s first controlled environment specifically designed to test the potential of connected and automated vehicle technologies. Mcity is a 32-acre simulated urban and suburban environment that includes a network of roads with intersections, traffic signs and signals, streetlights, building facades, sidewalks and construction obstacles. 16 July, 2015. Hyundai-Kia America Technical Center and Mojo Mobility have been awarded a funding grant from the U.S. Department of Energy’s (DOE) Office of Energy Efficiency and Renewable Energy (EERE), Vehicle Technologies (VT) program to research and develop a system capable of fast charging an electric vehicle wirelessly. 2 July, 2015. 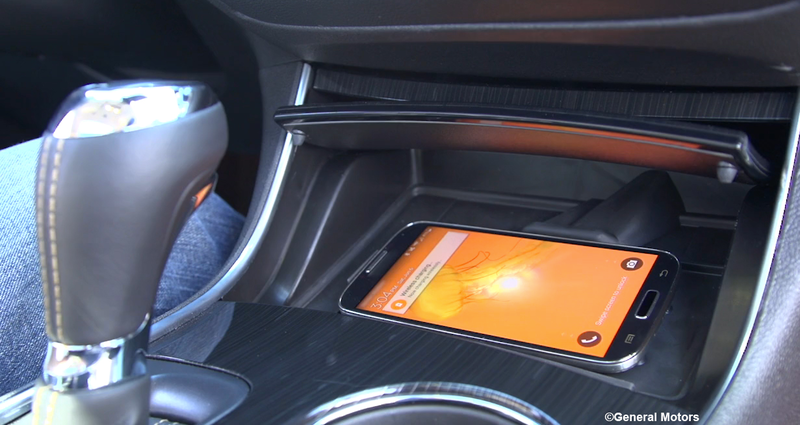 Chevrolet introduces Active Phone Cooling technology to help keep smartphones cool. 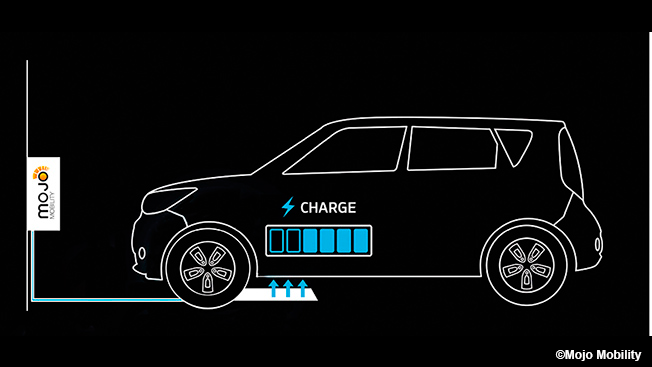 An air vent connected directly to the car’s air conditioning and ventilation system is directed to the charging bin where the phone rests for wireless charging, sending cool air to help lower the phone’s temperature. 10 June, 2015. Chevrolet has introduced an industry-first connection to Silverado trucks to predict and notify drivers when components need attention, in many cases before vehicle performance is affected. 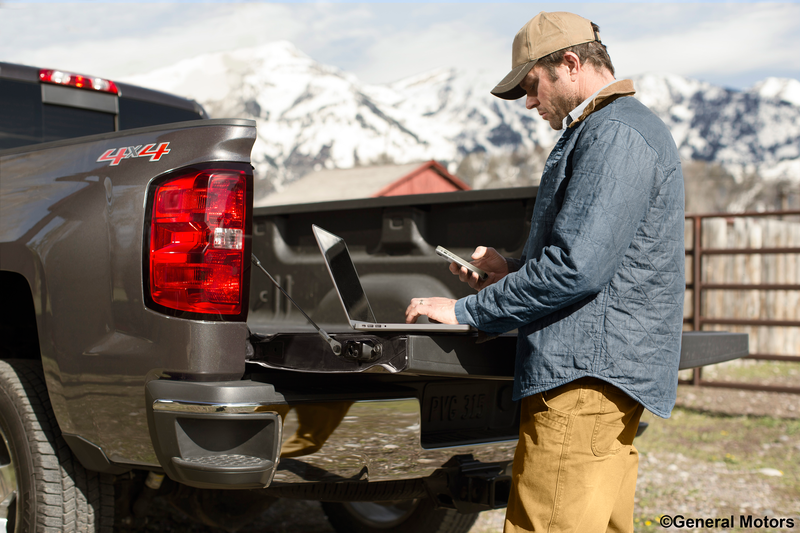 Chevrolet Silverado owners are some of the most connected drivers on the road, making up the largest population of OnStar RemoteLink mobile app users. 6 June, 2015. With the Dynamic Parking Prediction research project, the BMW Group is demonstrating a solution that will in future be able to shorten the search for vacant on-street parking, particularly in cities. 4 June, 2015. 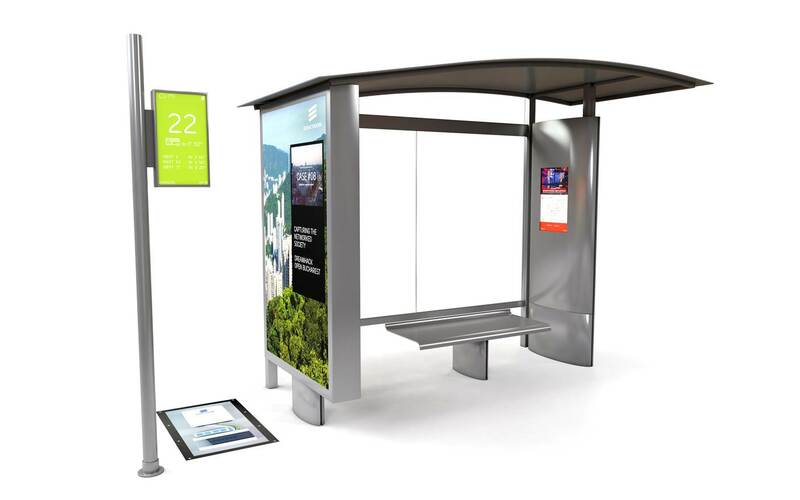 Ericsson demonstrated a connected bus stop concept at UITP World Congress and Exhibition that incorporates 3G, LTE or Wi-Fi small cell technology. The connected bus stop’s small cell infrastructure will provide public transport operators with an additional source of revenue, as it can be leased to telecom mobile operators as a means of densifying their networks. 3 June, 2015. The New Cities Foundation launched the “Connected Mobility Initiative”, with support from the Toyota Mobility Foundation, to address the critical need for metropolises worldwide to enable the efficient and viable movement of people. 1 June, 2015. The corridors feature more than 70 miles of interstates and arterials in the Northern Virginia region, including Interstates 66, 495, and 95, as well as state routes 29 and 50. These roadways compose one of the most congested corridors in the U.S.
23 May, 2015. The companies will focus on transforming future vehicles with mobile technologies, wireless charging technology for in-vehicle use and implementation of the Qualcomm Halo™ Wireless Electric Vehicle Charging (WEVC) technology. 5 May, 2015. Bosch is making freight cars intelligent and connecting them to the internet. The technology supplier has developed a new condition monitoring system for rail freight transportation. The hardware attached to the railcars as part of the system is from Bosch large-scale automotive series production. Sensors supply data such as the precise position of a railcar, or the temperature in the storage area. This data is transferred to a server and evaluated. 5 May, 2015. Daimler Trucks became the world´s first manufacturer to be granted a road license for an autonomous heavy-duty truck. 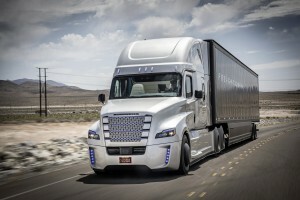 The world premiere of the Freightliner Inspiration Truck took place near Las Vegas, and the first journey took place on U.S. highway 15 in Las Vegas. The truck is equipped with the intelligent Highway Pilot system for autonomous driving. 28 April, 2015. The European Parliament voted in favour of eCall regulation which requires all new cars be equipped with eCall technology from April 2018. In the event of a serious accident, eCall automatically dials 112 – Europe’s single emergency number. 2 April, 2015. 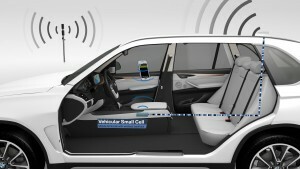 AT&T 4G LTE wireless connectivity will power Autonet integrated connected car services. 27 March, 2015. 3GPP launches a new Study Item on “V2x” to address the use of LTE to ensure connectivity between vehicles, roadside infrastructure and the people inside and around connected vehicles. 5 March, 2015. The BMW Group, peiker acustic GmbH & Co. KG and Nash Technologies GmbH have presented the “Vehicular Small Cell” research project to improve mobile reception in vehicles. 4 March, 2015. Sanef ITS, an operator of intelligent transportation solutions, and Intelligent Mechatronic Systems (IMS), a leading connected car company, announced that they have been awarded a road usage charge contract by the Oregon Department of Transportation (ODOT).